A provider asked “What do I do? 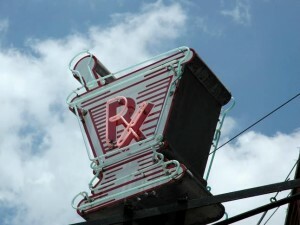 Fill the meds and drive to their house to make sure they take it?” A valid question. The provider has identified an issue, prescribed a disease-modifying medication – either called it to the pharmacy directly or sends the patient on their way with the prescription in hand. In one study 31.3% of prescriptions are never filled by the patient. There are many HEDIS measures affected by the member’s medication compliance and this significantly impacts the coveted Star rating of a health plan. If 31% of members are not filling or taking their medications as prescribed HEDIS scores will fall miserably. Pharmacotherapy Management of COPD Exacerbation (PCE) – The percentage of COPD exacerbations for members 40 and older who had an acute inpatient discharge or ED visit on or between January 1-November 30 of the measurement year and who were dispensed appropriate medications – systemic corticosteroid and/or bronchodilator. Chlamydia Screening in Women (CHL) - The percentage of women 16 - 24 years old who had a claim filed indicating sexual activity and/or were dispensed a prescription for contraceptives during the measurement year. Appropriate Testing for Children with Pharyngitis (CWP) – The percentage of children 3 - 18 years old who were diagnosed with pharyngitis, dispensed an antibiotic and received a group A streptococcus (strep) test for the episode. Medication Management for People with Asthma (MMA) – The percentage of members 5 – 85 years old who were identified as having persistent asthma and were dispensed appropriate medication that they remained on during the treatment period. Persistence of Beta-blocker Treatment After a Heart Attack (PBH) – The percentage of members 18 and older who were hospitalized and discharged from July 1 of the year prior to the measurement year to June 30 of the measurement year with a diagnosis of AMI and who received persistent beta-blocker treatment for six months after discharge.